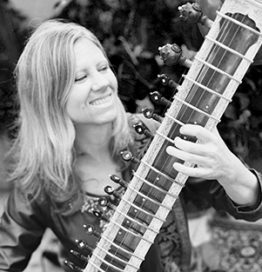 Joanna Mack began her study of sitar in 1997 and has spent 8 years in Kolkata under the tutelage of Pt. Deepak Choudhury. She also had the honor to study under Ustad Ali Akbar Khan, Sarodia Bruce Hamm and Sangeet Research Academy Guru Partha Chatterjee. She has been teaching & performing since 2006.